Yom Ha’atzmaut (Independence Day) commemorates Israel’s May 1948 Declaration of Independence. It’s celebrated annually on 5th of Iyar. It’s according to the Hebrew calendar. It’s preceded by Yom Hazikaron. It remembers fallen Israeli soldiers. It’s Israel’s Memorial Day. Ilan Pappe discussed Palestine’s ethnic cleansing. He explained war without mercy. He did so in exhaustive detail. He obtained previously suppressed documents. He explained what everyone needs to know. More on what he said below. Palestinians didn’t join in. They’re not singing-along. They’ve got no reason to celebrate. Awards Peres gave IDF recipients came at their expense. Festivities began Monday night. Things did so with pomp, flair and bombast. They kicked off the official Independence Day ceremony. They included a torch-lighting ceremony. For the first time, all torch-lighters were women. Peres called on Israelis to “be proud, but never satisfied.” He stopped short of explaining how much more Palestinian land he covets. He stole plenty earlier as prime minister. He did through other ministerial posts. Other festivities included displaying Israeli military might. The IDF opened some of its bases to visitors. Menacing warplanes overflew. Israeli recounting of events preceding and following its independence twists truth. It reinvents history doing so. Its war was well-planned. Palestinians never had a chance. In early March 1948, future Prime Minister David Ben-Gurion met with leading Zionists and military officers. They finalized war plans. It was called Plan D (Dalet in Hebrew). It followed Plans A, B and C.
It bears repeating. It was war without mercy. It reflected Ben-Gurion’s earlier plan. “I am for compulsory transfer,” he said. “I do not see anything immoral about it,” he claimed. Hundreds of thousands of displaced or murdered Palestinians were considered a small price to pay. Things unfolded as planned. Independence took six months to achieve. Arab armies were no match for Israeli strength. False narratives claimed otherwise. Invaders were outmanned and outgunned. According to Pappe, systematic terror followed. About 800,000 Palestinians were expelled. Doing so reflected genocidal ethnic cleansing. Hundreds of Arab villages were depopulated. So were 11 urban cities. They included large parts of Jerusalem, Tel-Aviv and Haifa. Many thousands of innocent victims were massacred. Mass rapes and other atrocities were committed. Palestinian homes, property and belongings were bulldozed, demolished, and/or burned. Palestinians wanting to return couldn’t. They were systematically prevented from doing so. Horrific Israeli crimes were committed. They matched what convicted Nazis were hanged for at Nuremberg. They included cold-blooded mass murder. Survivors remember Deir Yassin. Other Palestinian villages were targeted the same way. Wholesale slaughter followed. So did mass displacement. On April 9, 1948, things began. Israeli soldiers entered Deir Yassin. They did so violently. They machine-gunned houses randomly. Many inside were slaughtered. Remaining villagers were assembled. They were murdered in cold blood. Children and infants weren’t spared. They were treated like adults. Elderly and infirm victims got no mercy. Women were raped before being killed. Estimates place the death toll at around 120. Ensuing fighting killed dozens more. Many other villages were attacked the same way. Ethnic cleansing involved mass slaughter and displacement. It’s longstanding Israeli practice. Official policy aims for maximum land with minimum Arabs. “Every attack has to end with occupation, destruction and expulsion,” said Ben-Gurion. He meant displace, depopulate, slaughter. Do it without mercy. Erase Palestinian culture and history. Replace it with Jewish tradition. Twist truth doing it. Justify genocidal slaughter any way it takes. Current Israeli policy hasn’t changed. Slow-motion genocide replaced decades earlier flank speed. It continues unabated. Forty-seven years of occupation reflect institutionalized persecution. arrest, imprisonment, and torture without cause. They endure assaults, extra-judicial assassinations and punitive taxation. They’re denied basic services. They’re essential to life and well-being. They include healthcare, education, and living-wage employment. It’s enough nourishing food and water. International tribunals don’t help. Occupation harshness persists. 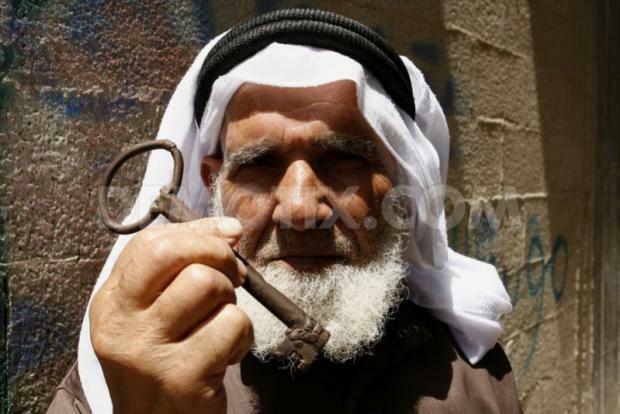 The Al-Nakba Awareness Project (ANAP) involves volunteers with limited resources. They partner with likeminded local, regional and national organizations. They’re committed for truth and justice. They support universally recognized human and civil rights. They want rule of law principles enforced. They want Palestinians recognized as victims. They want longtime denied justice reversed. Without it, regional peace is impossible. Separate isn’t equal. Years ago, two states were possible. No longer, they believe. Israel controls over 60% of West Bank land. More is added daily. It vows to seize all of Jerusalem. It wants it as Israel’s exclusive capital. One state for all its people equitablely is the only just solution. Separating people by religion and/or ethnicity unfairly reflects institutionalized apartheid. A so-called “Jewish and democratic state” is Orwellian. It’s oxymoronic. It faux democracy. It’s solely for Jews. Arabs must be treated no less fairly than Jews. Zionism is enemy to Jews and non-Jews alike. It’s ideologically over-the-top. It surpasses the worst of South Africa’s deplorable past. It’s white, Jewish supremacist. It’s incompatible with fairness. It denies justice. It’s heading Israel for self-destruction. Systems short of viability can’t survive. “A house divided against itself can’t stand,” said Lincoln. Forty-seven years is a historical blink-of-the-eye heartbeat. Israel must repudiate Zionism, ANAP believes. It must “transform itself into a normal, multi-ethnic, constitutional democracy…” It must treat all its people equitably and fairly. It must move beyond daily struggles. It must renounce war and other forms of violence. It must embrace peace, equity and justice. It must govern without prejudice to survive. Israel falls short and then some. It has a choice. Change or eventually perish. There’s no in between.